A small time pig farmer leads a rebellion against bigger farms in the delightful new German comedy ‘Die Letzte Sau’ from director Aron Lehmann, which was soundtracked by Tracks & Fields with the music of Ton Steine Scherben. The film, which is known in English as ‘The Last Pig’, is set for release in German cinemas at the end of September 2016. Having already played at the Munich film festival, ‘Die Letzte Sau’ has received numerous positive reviews and has been described as a ‘tragicomedy’ as well as an ‘art music’ film. Centring on the journey of the main character, a Swabian pig farmer called Huber (played by Golo Euler), the film deals with the themes of social rebellion, anti-capitalism and eco-activism. At the beginning of the film, Huber has fallen upon hard-times: his shower will only pump cold water and his farm is going under. To try and salvage his business, Huber sets out to rebel against larger farms and the capitalist competition. 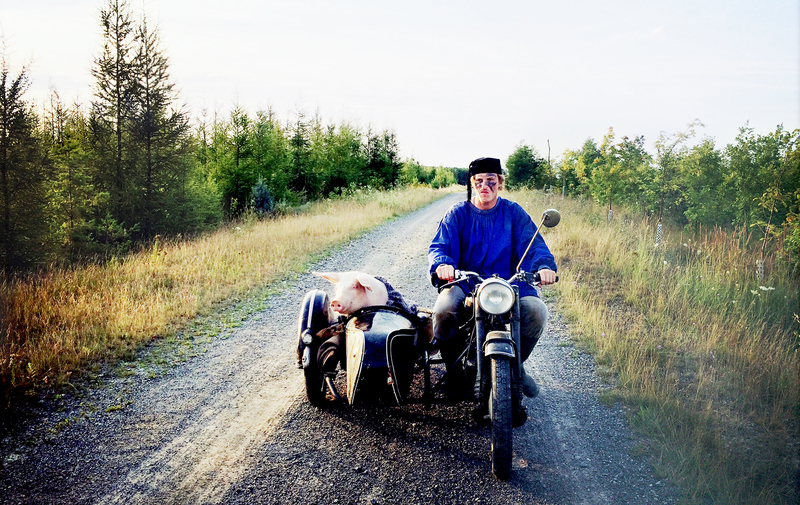 But he’s not alone; he travels side by side on a motorcycle with his pig sat in the sidecar. Pursuing the theme of social criticism and activism, Tracks & Fields, who soundtracked the whole film, licensed numerous songs from influential political activist band Ton Steine Scherben. The band, known also as die Scherben (the Shards), was a popular German rock band between the 1970s and 1980s. With music that was packed with anti-capitalistic and anarchistic lyrics, the band’s music was associated with political activism and the left movement, as well as having connections to the German squatter movement. With the sync licensing of the Ton Steine Scherben, the soundtrack perfectly matches the rebellious message at the heart of the film.